The people in Mobile, Alabama face a tough road. That leaves the underbanked residents of Mobile having to choose between failing to repay important bills or taking out a dangerous and predatory loan. Located on the gulf side of the state, Mobile is closer to New Orleans and Florida than other cities in Alabama. Even with a population of 619,1041, Mobile is the third-largest city in the state. Mobile is rife with economic and financial troubles that contribute to an economic environment favorable to payday and title lenders. The average poverty rate in Mobile is 23.1 percent2, almost 10 percent higher than the national rate of 13.5 percent.3 Poverty in the South is a common occurrence, but Mobile’s problems are unique. The city has a job growth rate of -0.39 percent, which means that more jobs are being lost than created. Other cities in Alabama such as Birmingham and Huntsville report positive job growth rates, so the problem is almost perfectly isolated to Mobile. 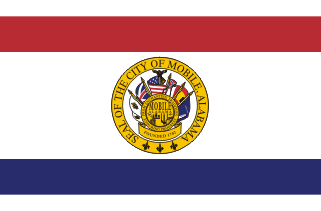 The total city debt for Mobile is approximately $275,000,0004 and the debt per capita is approximately $1,409.45. When there’s any kind of difference between how much people need to live on and how much they earn, poverty rates will increase and afflicted residents will turn to payday and title loans in times of crisis. It would be impossible to separate the effects of Mobile’s disastrous economy and the rate of citizens using payday and title loans. Payday loans are a common tool for people who don’t have the ability to take out a credit card or personal loan. The latter often require good credit scores and clean credit reports, which can be difficult for people with low income and unstable jobs. So they turn to payday loans, which operate both on-line and in-store. When you take out a payday loan, you often have between two to four weeks to repay the amount. However, most people aren’t able to scrounge up the money in time, leading them to refinance the loan. Every time they do that, the interest compounds and the problem grows. Because the repayment length is so short, people struggle to repay their loans before the first payment is due. Another major issue with payday loans is that the lender gets access to your bank account when you take out the loan. If you don’t have enough funds in your account when the lender tries to collect, you’ll overdraw and have to pay even more fees to your bank, often hundreds of dollars at one time. This can create even more instability for borrowers. With such a high local poverty rate and negative job growth rate, it shouldn’t be surprising that people resort to payday loans and then find it impossible to repay them in a timely manner. However, some people compare the simple interest rate to the annual interest rate and think that credit cards are actually worse than payday loans. This kind of financial illiteracy is also partly responsible for the high rates of payday lending in Alabama. When consumers don’t know the difference between the interest rate you pay in a month and the rate you pay in a year, they’re going to be tempted by the ease and convenience of payday loans. This is partially why many non-profits aim to educate citizens about the best types of loans and how to save money for emergencies, so they know to avoid payday loans when they’re desperate. Residents of Alabama used payday loans two million times in 2015, with the average borrower using eight loans total. The payday loan database showed that there were 246,824 unique users. The entire state has slightly less than five million inhabitants, which means about 5% of the population is relying on payday loans.15 The fact that customers took out multiple loans reinforces the idea that payday loans are impossible to pay off in such a short time and that consumers need a longer window. Because payday loans in Mobile are limited to $500, many consumers seek another way to get cash quickly: title loans. A title loan is a loan made in exchange for using your car as collateral against the loan. Because title lenders are allowed to give out much more than payday lenders, they’re a popular option for consumers who need to borrow more than $500. However, one of the worst aspects of title loans is that they require you to hand over possession of your vehicle to a lender if you’re not able to repay the loan. For most low-income residents of Mobile, their car is their biggest asset. It’s how they get to work and how they pick up their kids from school. According to the Center for Responsible Lending,15 Alabama is one of the worst states in the country when it comes to title loans. There are 672 car-title lenders in the state with an adult population of 3,647,277. That means, for every 5,427 people, there is one car-title lender – which is the highest concentration in the country. This ratio explains why residents in Mobile are so quick to turn to title lenders- they’re available more than they are in any other state. That might explain why Frances Beck felt so comfortable taking out a title loan when she was short on cash. She was a single mother who was providing for herself and her child when she had to complete an unpaid internship to graduate with her degree. Unable to afford not working, she took out a title loan to pay for her expenses. A study published in the University of Illinois Law Review said that the main problem with title loans isn’t that cars end up repossessed, but that consumers aren’t aware of how much a title loan could cost them. Most people assume they’ll be able to repay it when it first comes due, but that’s not often the case. If borrowers knew that they would spend thousands more on interest, they would probably find other ways of getting the money they need. "Exploiting the poor through predatory lending practices was wrong in Biblical times and it remains wrong in Alabama communities today. Sadly, the state of Alabama has a true problem when it comes to predatory, toxic loans, and it is time for a change." Alabama wasn’t always a hot bed for payday and title loans. At one point, they had strict laws against high interest rates for predatory loans, but now times have changed. It’s not a surprise when you consider how much money payday lenders have given to local lawmakers. Other reports say that, “Lobbying efforts by lenders in 2002 resulted in the modification of the Alabama Small Loan Act that provided an alternative rate schedule increasing allowable loans to approximately 190% APR (Act 1959-374 Sect. 5-8-15, Alternative rate schedule, subsection (m)). term to 30 days. This would have effectively created an annual interest rate of 180% – more than 50% less than the current law. Another bill proposed by State Senator Arthur Orr promised to create regular payments for payday loans, instead of the lump-sum system that currently exists.25 Borrowers would have up to six months to repay their loan, which would keep fees low. Unfortunately neither bill passed and constituents are still waiting to see if true payday reform will happen in Alabama anytime soon. Interested parties should contact their representatives and let them know how they feel about payday loan reform. The voice of the masses should be heard so lawmakers feel more enticed to pass meaningful legislation. Even though title and payday loans are legal in Mobile, that doesn’t mean every lender is always following the rules. Many try to include stipulations in contracts that are illegal or fail to notify consumers of what their loan will actually cost in the long run. Some are operating with an inactive license or have never been properly licensed. While legislation is one way to get rid of predatory lending, it won’t fix the reasons why citizens turn to these types of loans. Better jobs, higher wages and a stable economy are the only ways that residents won’t roll the dice on these risky loans. When people live paycheck-to-paycheck, they rely on payday and title loans when there’s an emergency. But if they have adequate salaries and financial education, they won’t have to feel compelled to enter a payday loan storefront. Alabama Department of Human Resources: The Family Assistance program provides cash to families who have children 18 and younger (or 19 if they’re a full-time student). They also provide employment training to help people receiving financial aid so they can find work. The Alabama Housing Finance Authority: This organization helps families find affordable housing, both to rent and to buy. Affordable housing can help families strapped for cash and help them avoid turning to title or payday loans. Applicants need to earn less than the median income in order to qualify. Regulating title loans is not just a problem in Alabama, it’s a national issue. The Consumer Financial Protection Bureau drafted a rule in October 2017 that would force these types of lenders to determine if borrowers can afford to repay the loan before giving them the money. Research from the Southern Poverty Law Center said, “The latest data in Alabama showed that, on average, borrowers who took out these loans were trapped in debt for 168 days.”19 This rule should become official in 2019, but it remains to be seen if the federal government will support this rule – or oppose it. You know payday and title loans in Mobile are a problem. But what about other cities in Alabama? “Payday Lending Stores in Alabama: Facts and Issues” LWVAL.org. Accessed Jan 3rd, 2018 from http://www.lwval.org/payday-lending/payday-lending-facts-&-issues.pdf. “Alabamians used payday loans two million times in 2015.” AL.com. Accessed Jan 3rd, 2018 from http://www.al.com/news/index.ssf/2016/09/alabamians_use_payday_loans_tw.html. Berte, Neal. “Alabama’s Toxic Lending Problem: Who cares?” AL.com. Accessed Jan 3rd, 2018 from http://www.al.com/opinion/index.ssf/2017/05/alabamas_toxic_lending_problem.html. Bourke, Nick. “Payday Lending in America: Who Borrows, Where They Borrow, and Why” PewTrusts.org. Accessed Jan 3rd, 2018 from http://www.pewtrusts.org/~/media/legacy/uploadedfiles/pcs_assets/2012/pewpaydaylendingreportpdf.pdf. Bourke, Nick. “Auto Title Loans: Market practices and borrowers’ experiences.” PewTrusts.org. Accessed Jan 3rd, 2018 from http://www.pewtrusts.org/~/media/assets/2015/03/autotitleloansreport.pdf. Fox, Jean Ann, et al. “Driven to Disaster: Car-Title Lending and Its Impact on Consumers.” ResponsibleLending.org. Accessed Jan 3rd, 2018 from http://www.responsiblelending .org/other-consumer-loans/car-title-loans/research-analysis/CRL-Car-Title-Report-FINAL.pdf. Izor, Chris. “VIEWPOINTS: Alabama leads nation in car-title loan outlets.” Blog.AL.com. Accessed Jan 3rd, 2018 from http://blog.al.com/birmingham-news-commentary/2012/09/viewpoints_alabama_leads_natio.html. Patterson, Jim. “The trouble with car title loans is NOT people losing their cars.” News.Vanderbilt.edu. Accessed Jan 3rd, 2018 from https://news.vanderbilt.edu/2013/04/01/car-title-loans-people/. “A step in the right direction for Alabama borrowers.” AriseCitizens.org. Accessed Jan 3rd, 2018 from http://www.arisecitizens.org/index.php/component/content/article/22-publications/fact-sheets/3269-sb-91-a-step-in-the-right-direction-for-alabama-borrowers.